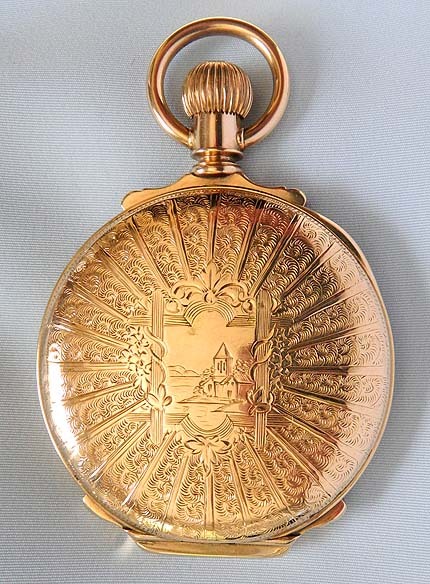 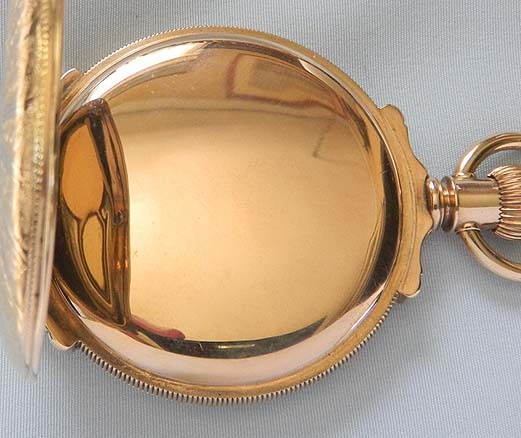 Fine Howard N size antique pocket watch in beautiful engraved 14K box hinge case circa 1886. 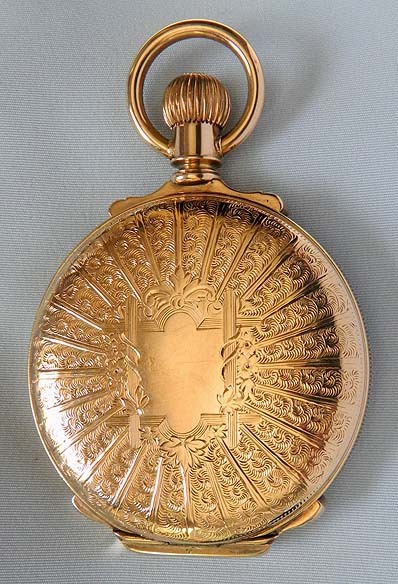 "The case engraved overall in a sunburst pattern and marked ""E.H. & Co."". 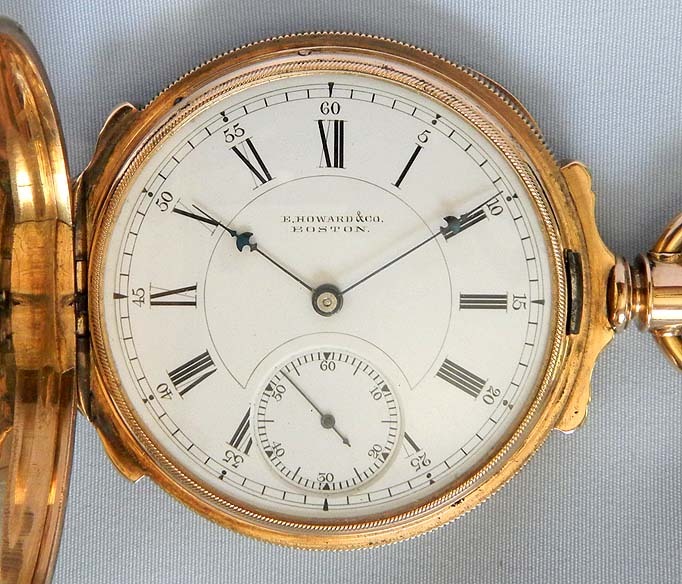 White enamel dial " with blued steel Howard umbrella hands. 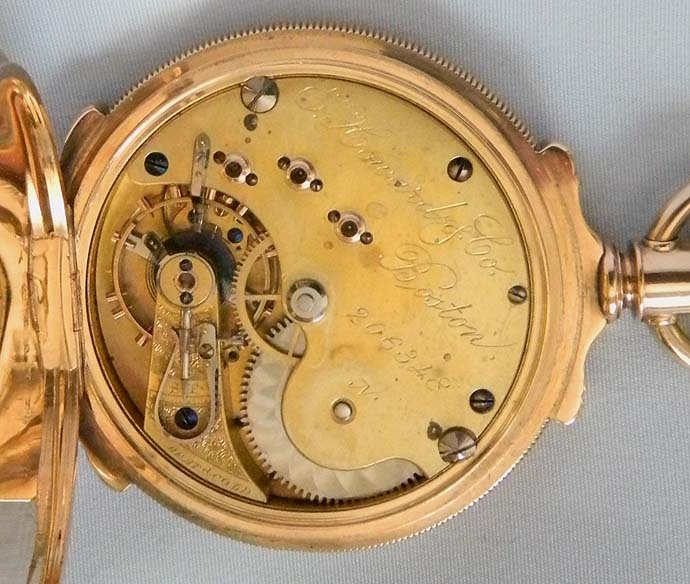 Lightly faded gilt 15 jewel movement with screwed jewel settings.